In New York, dog fashion is a serious matter. 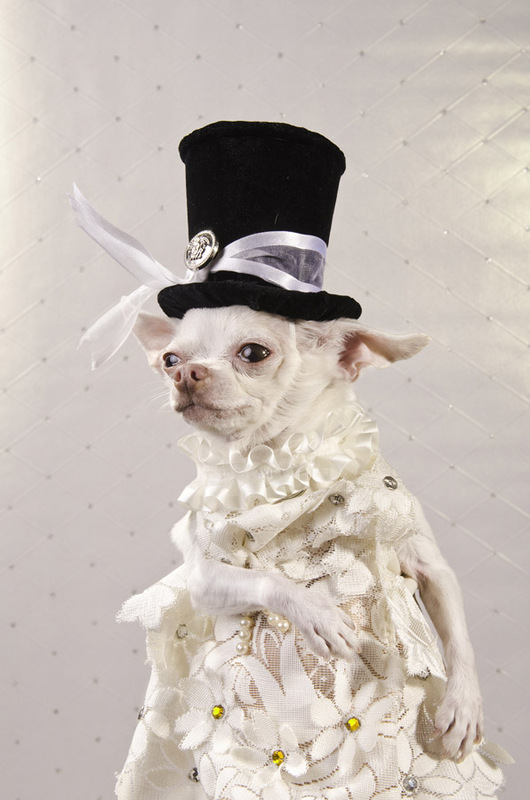 In the unconventional world, pet couturiers and designers compete for the best designs and doggie moms fight for the spotlight while their precious dogs showcase exquisite outfits that can sell for hundreds of dollars. 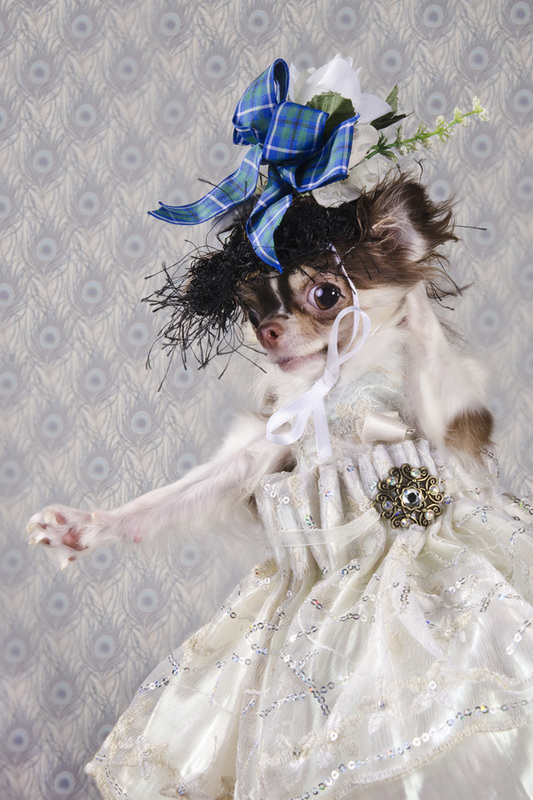 Fascinated by the inherent anthropomorphism of this pet culture, photographer Sophie Gamand embarked on a series of portraits, Dog Vogue, inviting pet couturier Anthony Rubio to create unique pieces, and a handful of Chihuahua as models. Using the garments created by the couturier, and styling each photograph carefully, Sophie Gamand photographed the dogs as if they were super models from lush fashion magazines. 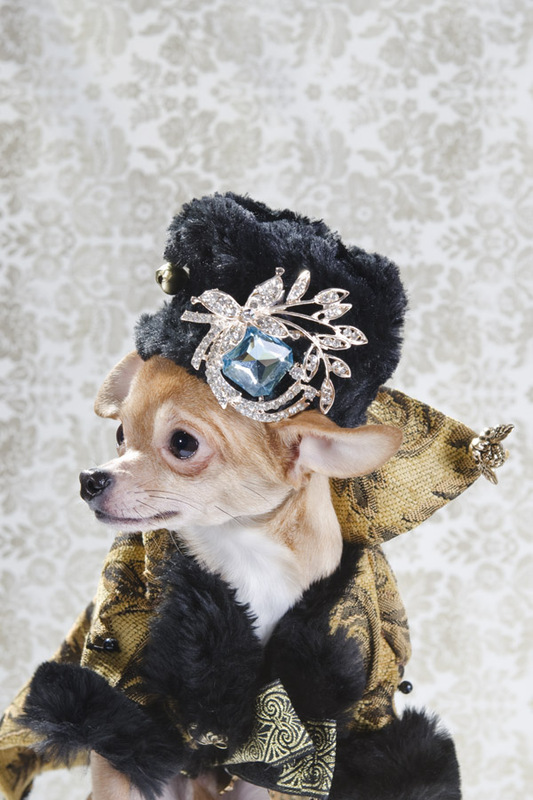 With their larger-than-life attitude Chihuahuas were the perfect models for Sophie’s vision. 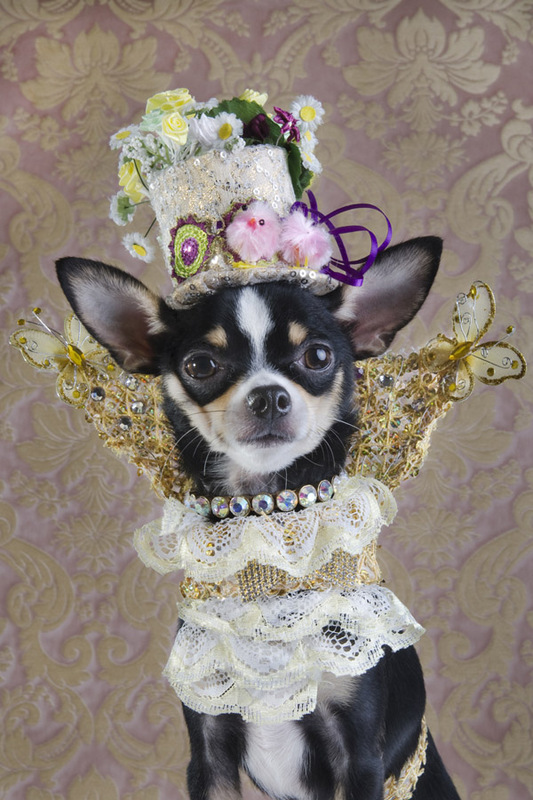 She created a gallery of characters, dressing them up the way these dogs probably see themselves: like princesses and emperors, divas and knights.